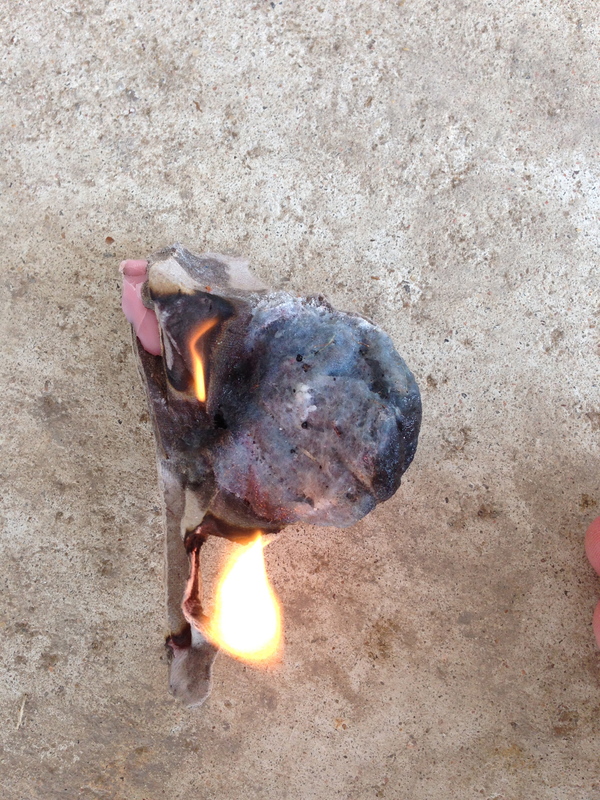 Make your own fire starters with 3 basic household items! I have been doing this for a couple of years off and on. Mostly b/c I forget to save stuff! But this is so easy and you can keep in your laundry room to remind you to fill up! The video above shows a fire starter I made in action! They are supposed to last 30 minutes, so think of it more like good kindling to start your fire with if it’s damp out or if you just need a “candle-ish” light for emergencies. This is made from stuff that is technically free, you are just recycling! 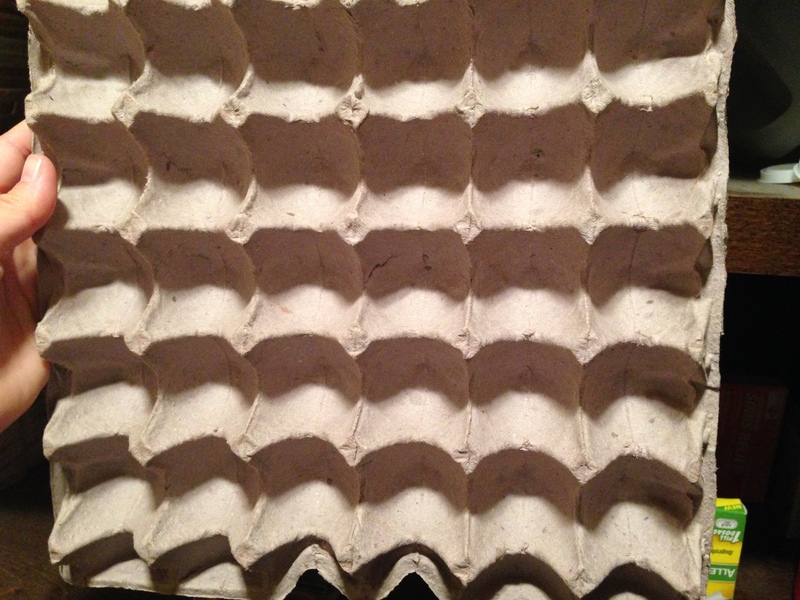 You can use this 30 Egg Cardboard Carton for your Fire Starters. 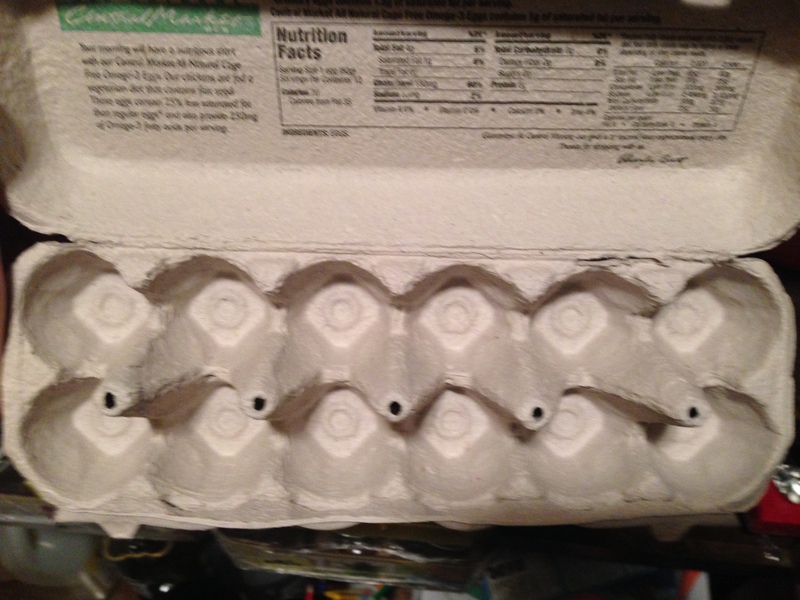 First, you need a cardboard egg carton. It can be a flat one for the 30 eggs, or a normal one. Ask around your work/schools because many people are willing to save some cartons for friends:) SInce I don’t buy eggs anymore, I rely on family members bringing them when they visit, co-workers used to bring them to me, and people I know at my girls’ school. Second, you need DRYER LINT! That is right. Your trash is your treasure! You don’t need a lot. Seriously, I filled one 30 egg carton after 2 loads of laundry. 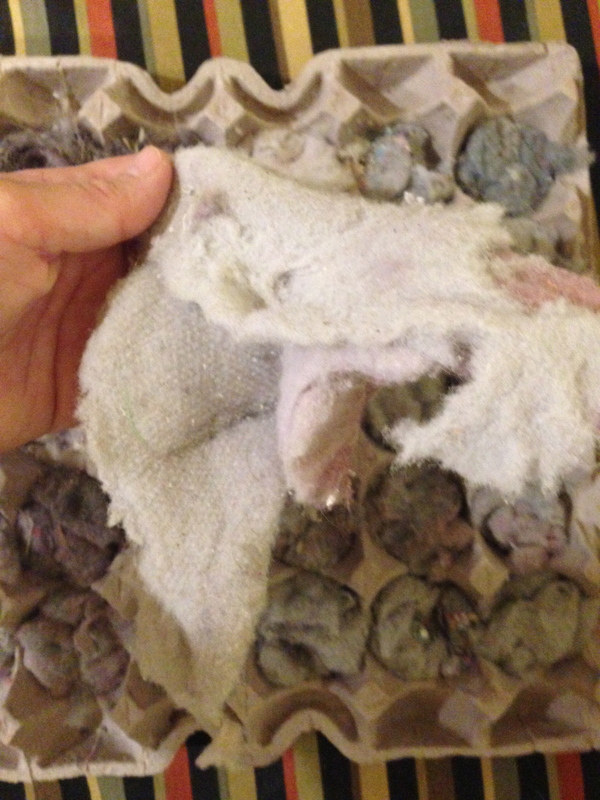 But feel free to save all of your lint in a plastic bag if you want to make a bunch! 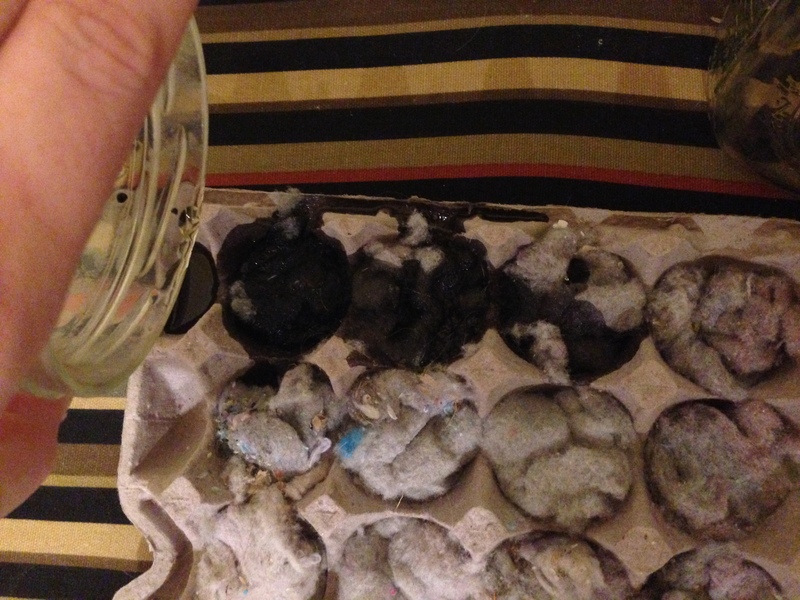 Shove lint in each egg holder until it reaches the top of the carton. The last of my hand made soy candle being recycled! I happened to be burning the last of this candle as I was completing this project so I simply waited until the wicks burned out and quickly grabbed the candle. Lastly, Candle or Melt Wax! Since I am always making my own melts and candles when I get orders in, I save any wax in a “junk candle” that I make for my “survivor candles”. I also use the burned off wax from my melts. When the scent is barely there, the wax can still be put to good use! If you are a candle hoarder, like me, and have some candle jars laying around with bits of wax on the bottom, simply heat some water in a small pot to about 130-180 degrees (not yet boiling) and let your candle float in the water until the wax melts. 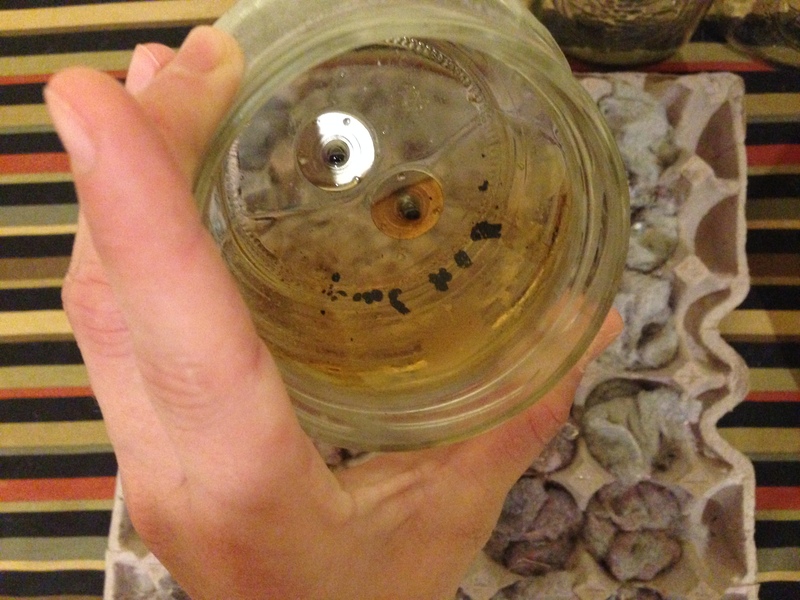 Not recommended, but I sit my almost gone candles on my melt warmer (the bulb is far away from the bottom of the glass to prevent fires) and I let my candles melt this way. Mine are also soy candles so my wax melts faster than paraffin candles. Pour your wax on top of the lint! Some of my wax spilled over the sides..but it was ok. You will have to judge how much you should pour. 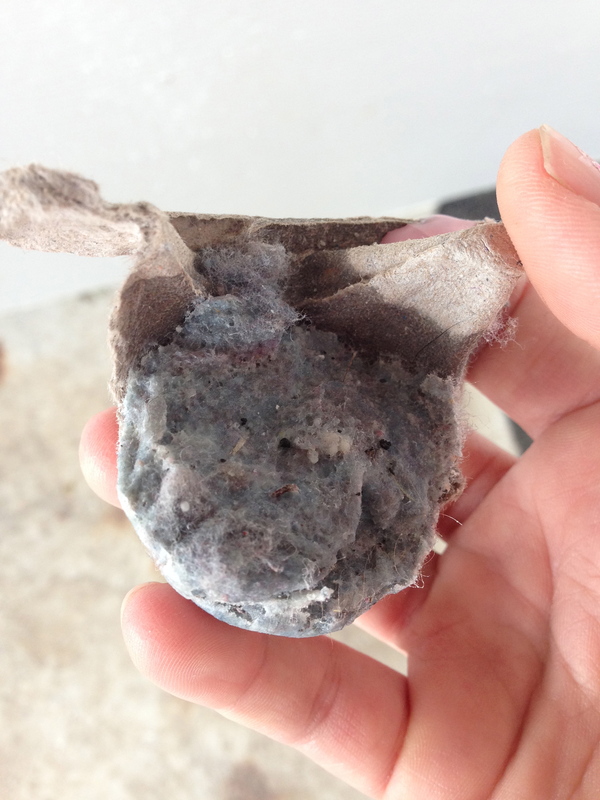 I let mine soak into the lint for a second and then pour until I see it just over the top of the lint. I am completely impatient and messy so I always have spillage, but it will all be used so it really isn’t that big of a deal. Like Joey on Full House…CUT IT OUT 🙂 (My oldest daughter has been watching a lot of re-runs…I love that she loves that old show) You can rip it out too. LET IT DRY!! At this point, you can choose to store it somewhere you will remember to keep filling it with lint and wax (and possibly forget about it for 6 months like I did :)) Or maybe you were really awesome and saved a lot of wax so you could complete a whole carton. Send some of that greatness my way! All you have to do now is tear each egg holder out that is filled and place in a big ziplock to prevent from getting wet. Burn Baby Burn! Once this thing started burning I realized what a great scent picker I was in the dryer sheet aisle..and a great candle maker! I had some pretty flavorful scents going on with this puppy. I thought, “What a great idea for toilet areas…if they weren’t so ugly…and open flamey…” haha! NOW test it out! My fire starter smelled really good! Very creative ideas! Love it!